One of the most common questions regarding using iCloud and iCloud Photo Library is how to download photos from iCloud once they have been stored there. 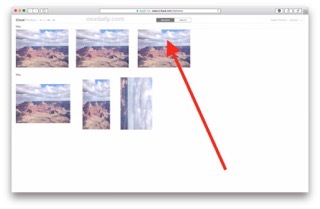 This is a deceptively simple question, and we’re going to push aside any of the complexities of downloading pictures from iCloud Photo Library within Photos app on the Mac, iPhone, and iPad, and instead we’ll show you the single most direct method of downloading a picture from iCloud to a computer, since that is usually what people are looking to do. We’ll also show you how to download all photos from iCloud, as well as single pictures or just a group of selected photos. You have a photo on iCloud, and you want to download that photo your Mac or PC – simple, right? Yes, but it’s done a bit different than you may expect, as we’ll show in the walkthrough here. That’s how you download photos from iCloud.com onto a computer or device. This works the same with any web browser, so it doesn’t matter if you’re on a Mac or Windows PC, Android, or Linux, you’ll be able to download the pictures from iCloud this way. This is great for the obvious reasons of cross platform access, but it’s also nice for gaining access to a high res picture from another computer or device too. How can I download ALL pictures from iCloud? Now, I know what you’re thinking; how can you download all of your pictures from iCloud? And why isn’t there a “download all” button on iCloud Photos? And why can’t we access iCloud Photos through iCloud Drive and copy them like you would from Dropbox on a computer? Those are great questions and certainly worthy feature requests for future versions of iCloud and iCloud Photo management, but what we just outlined above is what is currently available (outside of Photos and iCloud Photo Library anyway), so for now you have to manually download the pictures if you want to get them from iCloud Photos on the web. Hopefully a future version of the iCloud website will offer easy bulk downloading, and maybe even we’ll get comparable features in the Photos apps in Mac OS X and iPhone too. This downloads the number of pictures through the browser, just like downloading any other file. This means the photos will likely end up in your Downloads folder, unless you specify downloads to go elsewhere. Unfortunately there is no “Select All” button or “Download All” button in iCloud Photos on the web currently, but you can use the shift+click trick to select all of the photos yourself. That is the only way to download all photos from iCloud currently, so it requires a little bit of manual effort but it works. There are other ways of downloading full resolution pictures from iCloud of course as well, but they require the usage of the iCloud Photo Library feature as well as Photos apps in either Mac OS X or iOS, which puts them off limits to Windows users or from Windows based access. And yes, iCloud Photo Library is supposed to automatically manage and handle photos if you use the service, it will upload them to iCloud, and then download them on demand if requested – but for those who have a large library of pictures or less than stellar internet access, it can be cumbersome or even unreliable. Furthermore, the feature can lead to excess data usage both with a broadband connection and your local device storage, and there are some other curious aspects that can make the feature challenging to use for some specific user situations (for me personally, I like direct file access to my photos in their original format without having to rely on downloading the original, maybe I am old fashioned in that regard). What about downloading pictures from iCloud backups or iTunes backups? As you may know, iCloud backups are separate from iCloud Photo Library. If you backup an iPhone or iPad to iCloud, you may like to have direct access to those pictures, but that’s not how iCloud backups work. Instead, they arrive as a complete backup package of the entire device. Thus, you can also get photos out of iCloud and iTunes backups made from an iPhone, iPad, or iPod touch, but it requires either restoring a device with that backup in question in the case of iCloud, or the usage of a third party tool if the backup was made with iTunes. You can learn more about recovering photos from iPhone backups here if you’re interested, but it’s quite a different process from the method outlined above about simply downloading pictures from iCloud.com on the web. 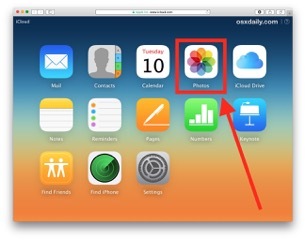 Do you know of another easy way to download photos from iCloud? Maybe you know of a method to bulk download all your pictures, or a group of pictures, in their original format and size, from iCloud to a computer? Let us know your iCloud photo tricks in the comments! Good tip. You can select multiple photos and download them together from iCloud, but yes it would be nice if there was a download all button, or an ability to download photos as a zip archive from iCloud for date ranges, etc. iCloud Photo Library is not something I have ever understood but I think I am not the user it is intended for. I don’t know really know who is. I think it uploads your pictures, and stores a thumbnail locally but then you can get a higher resolution picture by downloading it from Photos app in iOS and Mac. But then if you delete a picture, it deletes from iCloud completely, so you can’t free up disk space this way, and iCloud does not permanently serve as a photo repository. It would be nice if you could just take a picture on your iPhone and know it was stored in iCloud to access anytime you wanted it. Also it would be nice to not shovel over $10 per month for the iCloud. I agree with your point about internet speed too, iCloud Photo Library was clearly designed for Cupertino and major global hubs where Comcast and Google Fiber are the norm. Out here in the rest of the USA we have surprisingly tight bandwidth caps and slow DSL, there is no great high speed internet available in my city, so the thought of relying on broadband to access my pictures or anything else reliably or quickly is just out of the question. Finally if you use iCloud Drive like DropBox and create your own folder up there, and upload your pictures manually as files, it would work like that, but it would not be accessible from Photos apps in iOS or Mac, it would only be accessible from iCloud Drive. I think the point you are making is that you want to access the photos from within your iCloud backups from iCloud.com or through iCloud Drive, is that right? That sounds interesting, but the backups are not meant to be used that way right now. You forgot the other big caveat with iCloud Photo Library and iCloud Photos — it is not supported by earlier versions of Mac OS X or iOS. I support Macs on Snow Leopard still as well as Windows computers. Not to mention Android. All of these situations mean that if you want to get pictures from iCloud you go to the iCloud.com website as you describe here, as there are no other options. That is why Apple should allow batch downloads of iCloud pictures from iCloud.com. It would be a good feature! Yes exactly, iCloud.com is accessible from nearly any web browser on any OS, that is the significant benefit of going this route. It’s also really easy with an obvious download button, which is nice. One final point, to have photos access on iCloud.com you have to enable iCloud Photo Library from somewhere, usually from an iPhone if you’re like me and have a Maverick Mac. So far so good, but all of my pictures are in my Mac already. If I delete a photo from Photos, it is removed also from iCloud so. what’s the use re-download again a photo? This is really most useful if you are on a device that isn’t using iCloud Photo Library but still want to download pictures from iCloud. 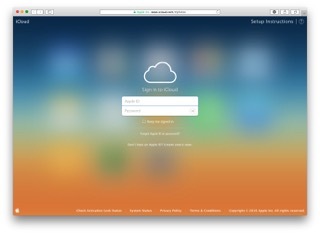 For example, you’re visiting family and using their computer, you can log in to iCloud.com and download a few photos this way. The other big perk is that it’s cross platform, you can use it on any version of any system software that has a web browser. Good article, but not being a fan of a computer terminal and a “server” in the Old days. I will still keep all of my own Info and data – On My computers and my own Backup system. Even computers are going, one sort of way, backward with all external peripherals hanging off of a main CPU. the 1980s are returning, Ugh. Modern name for server is cloud. I.E. I would never put my Gems in a neighbors house. I tend to agree, I like direct access to high resolution pictures and other important files from physical backups. Maybe the ideal solution is to have local physical backups of your data and pictures, and an encrypted online solution with all files accessible online when needed too, assuming you have the high speed internet access to support the latter anyway. Much of this is personal preference though, some like cloud-only storage. This is a good article, and perhaps this observation is slightly off target, but by using Photo Stream instead of iCloud Photo Library, all photos from my iOS devices are automatically added to my Photos libraries on both of my computers, and all the photos I import to my computers from my camera (or other sources) are automatically available to my iOS devices in Photo Stream. Of course I backup my computers to a Time Machine disk as well as saving them to an additional external drive. Since my son was born my wife and me started taking pictures of him at any given opportunity. We both have iPhones so I told her we should share a folder on iCloud and we put all our pictures in one safe place. However we wanted a physical back-up… You know… Just in case! After trying almost everything I remembered I installed iCloud Photos on my Windows laptop. It so happens that all photos in our shared folders are directly downloaded in a folder on my laptop where they are easily accessible and all I need to do is copy and paste the whole folder on an external drive for safekeeping. iCloud Photo Library should “just work” but I saw enough confusion and weird stories on the Apple Discussion Boards of picture libraries disappearing into the ether or high res images seemingly vanished that I never trusted it with my pictures. I hope those problems have been worked out and fixed. Can anyone confirm? It sounds good if you have broadband, big iCloud 1TB plan, with no data caps on cellular or home networks. Amazon Prime does this (for free as a Prime member) without having to deal with Apple’s Photos app on your Mac, THE MOST inane photo management software ever written. I am in despair about iCloud photo storage. I had some 20,000 photos on my Mac, many edited. After updating (stupidly!) to Yosemite, I now have no way to access my photos, which included several major trips and numerous irreplaceable photos. Is there anything I can do? 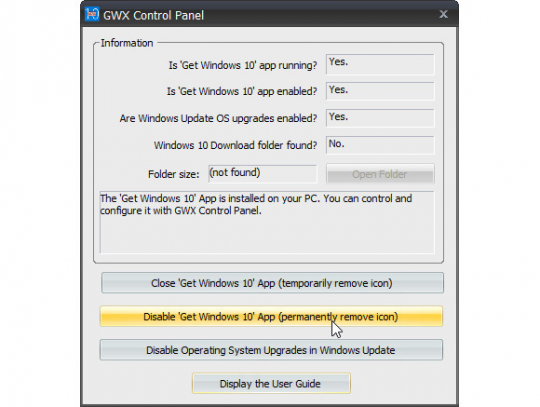 As batch downloads are not an option. I’ve been an Apple user for 20 years, but this feels like a total betrayal. My husband his his photos on his Dell laptop and they’re fine. Where did your pictures go? Are they still visible on iCloud.com? Are they on the Mac? How would they not be unless you removed them? Did you look in Photos app or iPhoto? Did you search the hard drive? If you had 20,000 picture files on the Mac, they must still be there unless you deleted them or formatted the Mac. What else is there to this story? I am confused. I had the same disaster as Serafina. my solution was to access a Time Machine backup and restore the iPhoto library. It was a while ago now so I’m not 100% sure but I think Time Machine gave me the option to create a new library rather than replace my new one. I then imported the restored photos into my Photos app. That took ages and I was really annoyed but at least I recovered the missing photos. That sounds like a major flaw with iCloud or Photos, where did the pictures go when they disappeared? Were they on the file system but missing from Photos app? Glad you were able to get them back. Photos are the most valuable thing on most personal computers! iCloud needs work. Is there a better way to get all photos from iCloud? I am looking to download all photos and pictures from iCloud to the computer. I hope Apple has this feature. So, according to the author of this article and ‘osxdaily’, if I need to download 10,000 photos from iCloud using a browser on my mac (or even Windows for that matter), I need to manually download them one by one? Like, select a photo ->click download, then select another photo->Click Download and Continue this 10,000 times? Really? I mean, Seriously?? – Keep scrolling down straight to last photo. – Then press shift button first and click on the last photo. – This will select all items in between. – Click Download & The photos will start downloading automatically. 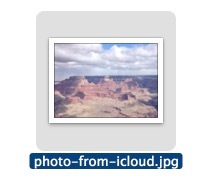 Yes that is correct, if you want to download photos from iCloud.com you download each photo independently. This is how I downloaded my photos from iCloud to my computer, it is a Windows PC. You can download photos from iCloud with iCloud Photos Library or with Photos app in iOS in bulk as described. Please describe what you are using, if it is a browser or the iCloud Photos, as that is relevant. If you don’t want to “verify” every pic make sure that in whichever browser you are using, to turn OFF the “ask every time” feature in your options/tools. Also, in options, you can change WHERE you want these to download to. You can leave as default and they they will end up in your “download folder” or you can connect an external drive and download to there, saving your PC memory. The only caveat to this that I have experienced is that it DOES change the date of your photo/doc/video and they will have “today’s” date, as if they were taken on the date you are saving them from iCloud. Then use the same click, scroll to last pic, shift click again to select all in the iCloud and delete all. 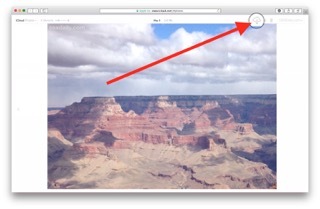 Hi tkoband – where is the setting in iCloud you mention above where you can change WHERE the photos download to? In “Settings”? I do not see it there! It’s a browser setting, not an icloud setting. Once you get the “ask every time” feature turned off you can select all the photos at once and download them all to your new, or default location. I FINALLY figured this out and got all my photos downloaded. *Bonus – it didn’t change the date of the picture either. They all still say the correct date that they were taken. * Man, I miss just plugging in my phone and doing a copy paste to back them up. I think I may just have to turn off the optimization. That way all my new photos are actually on my phone – not just thumbnails. I’ll have to clear my phone more often, but at least it will be simple. I had about 11000 pic in my iCloud, I used this guide for selecting all pic on a Mac and It worked like a charm. I hope will help you as the same! 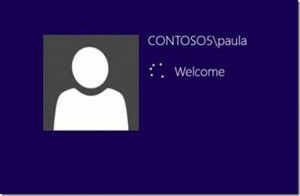 Does your logon hang after a password change on win 8.1 /2012 R2/win10? Hi, Linda Taylor here, Senior Escalation Engineer from the Directory Services team in the UK. I have been working on this issue which seems to be affecting many of you globally on windows 8.1, 2012 R2 and windows 10, so I thought it would be a good idea to explain the issue and workarounds while we continue to work on a proper fix here. The underlying issue is a deadlock between several components including DPAPI and the redirector. Windows 10 er en god og velfungerende version af Windows, men det er langt fra alle, som er blevet lokket over til det nye system. Enten har skuffelsen ikke lagt sig endnu efter Windows 8, eller også stoler man ikke på Microsoft og den stigende mængde data, som indhentes i Windows 10. 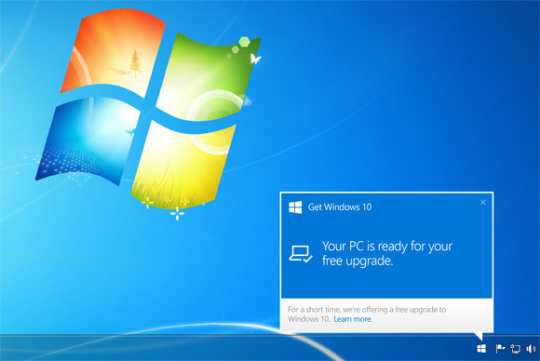 Hvad end din grund er, så vil Microsoft stadig meget gerne have, at du benytter dig af Windows 10-opgraderingstilbuddet. Microsoft er faktisk så insisterende, at selskabet er begyndt at pusle med ideen om at opgradere folks computere automatisk. Og ved første øjekast er der ikke noget, som kan stoppe det. Pcworld.coms Lincolm Spector blev selv ramt af opgraderingen, som pludselig fortalte, at der var opdateringer at installere. Efter et par fejlslående forsøg opdagede Lincolm Spector, at computeren havde forsøgt at installere Windows 10. Noget han aldrig havde givet lov til. Herunder findes der en løsning på den udfordring. Det er en tredjepart-software, som Pcworld.com har prøvet og testet og som fungerer godt. For at slippe for både ikonet og den automatiske opgradering, skal du hente et gratis program fra Ultimate Outsider, som hedder GWX Control Panel. Programmet kan findes via dette link og er en EXE.-fil. Når du har installeret programmet, kan du se, hvad der er aktiveret på din computer. Du kan for eksempel se, om Windows 10 selv skal hente sig selv – hvilket ifølge Lincolm Spector ikke passer med det, han selv har sagt ja til. I programmet er der to ting, som du skal gøre. Begge dele skal slås fra. Nu burde du være fri for Windows 10’s måske invaderende opførsel i dit Windows 7- eller 8-system. Hvad synes du om Microsofts Windows 10?